The December PTO meeting will be on Tuesday, December 13th from 7:00 – 8:30 pm in the Kennedy library. All are welcome and encouraged to attend. View the December agenda and the November meeting minutes. Eat Out at Panda Express in Redwood City (in Sequoia Station) on Thursday, Nov 17th from 11am to 11pm. You must bring in the flyer or show it on a smartphone for Kennedy to receive the 20% donation! If you order online, use code 221130 to make sure Kennedy gets the credit. We have raised only 5%, or $1,270, of our $25,000 target so far. To ensure your students are equipped with the necessary supplies and have access to electives and after school programs, the PTO needs your donations. Each donation of any amount received before the end of 2016 (extended from the original October deadline) will qualify your child for an entry into the class pizza party raffle. 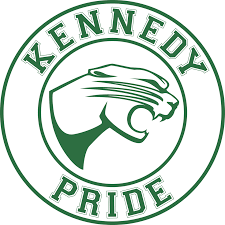 The first meeting to discuss this spring’s 8th grade graduation night celebration is set for Thursday, November 3rd in the Kennedy library from 6:30-8:00 pm. Interested parents from all grades are encouraged to come and help plan an amazing night for our soon to be graduating class. Ideas and enthusiasm are welcome and encouraged. Sequoia High School is hosting 8th Grade Parent Information Night on Thursday, October 27, 6:30 to 8:30. 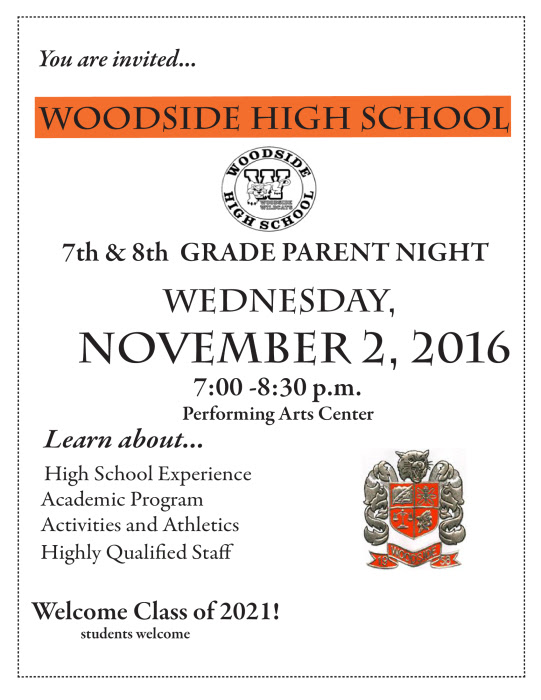 Woodside High School is hosting a Woodside High School Parent Night on Wednesday, November 2nd. These events are open to all 7th and 8th grade families. Join us for a FREE coding workshop to learn App Inventor, a programming language to build mobile apps. This event is taking place on Saturday, October 29th in the Kennedy Computer Lab. The workshop will be led by coding educator Dr. Emily Thomforde. To register, email Sonia at sdelator@hotmail.com with your name and grade. Space is limited. Lunch and snacks will be provided. For more information, visit: oneforeachhand.com/kennedy. Or see the flyer in English or Spanish. Amazon shoppers, as the holiday season approaches, please remember to use our Amazon School Reward link prior to shopping! All purchases including Kindle books, Audible, free trials, gift cards help so bookmark our PTO website, click on the Amazon link on the right hand side of the page, and make it a habit that automatically gives to our students all year. Submit all of your Box Tops to the office by October 20, 2016!! We have a drop box on the counter in the office. We’ll take it from there! Asegurate de envier a tu escuela todos tus Box Tops 20 de octubre de 2016. Tenemos una caja en la oficina.